It is no news that Google is displaying local search results in the SERPS these days. 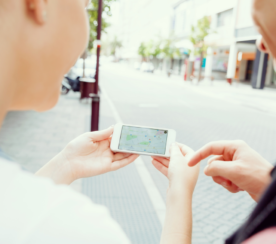 If you are looking for anything from a dentist to an Italian restaurant, then you will most likely see a map with a list of local businesses in the searched for city. But what about a statewide search for something like “Colorado Used Cars”? 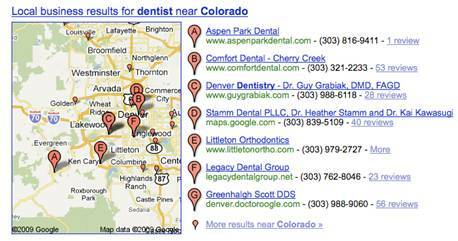 Google has been rolling out local results on Statewide searches for some time. It seems that it initially started with smaller states like New Jersey, but recently state wide results can be seen in the likes of much larger (in land mass) states such as Utah, Washington, and even Alaska. To find out just how many local states results are creeping into Google’s SERPS, I took the following keywords (Used Cars, Dentist, and Italian Restaurants) and went state by state to see if local map listings would pop up. The findings are as follows.. I first looked at the states that didn’t show any local results and it seemed that they fit into 2 major categories. They either were in the top 25 most populated states, or in the top 25 least populated states, which pretty much means that there was no apparent reasoning to why certain states where showing listings, and certain states weren’t…statistically speaking. Another important observation is that the physical map that is displayed doesn’t show a picture of the entire state, but usually focuses on a region like displayed in the picture below. Each term also brings up a different region which means that it is determined by the listings more than a location. When you search for a business in a given city, Google displayed results based on a centriod that has been determined. The closer you are to the centriod, the better change you have for ranking if all else is equal. 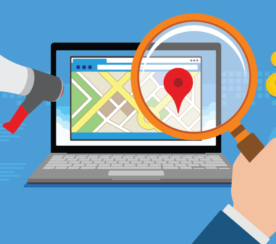 When it comes to statewide searches, the only location qualification is that your business is in the searched for state. Let’s use a few Utah Searches as an example. Most other ranking factors seemed to be equally important on the city and state levels such as correct categorization, quality and quantity of citations, reviews, user generated content, and (though I disagree with the big G in this one) location and keywords in the Business title. Check and see if your Industry and State are showing local listings. Make sure you aren’t stuffing location keywords into categories. If your category is city + keyword then what happens when someone does a search for state + keyword. Do keyword research for city vs. state terms. Your business might benefit by trying to go after one or the other. Look at citations from businesses in other areas of the state and see if you can use them. Create coupons that are focused on citizens of your state. 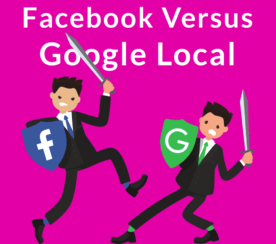 State results are only the beginning of Google’s quest to display local content and can foresee the day where searches based on landmark, neighborhood, city, county, state, or even nation will display the best of the best businesses around. Mike Ramsey is the Founder of Nifty Marketing, a local search company in Burley, Idaho. Nifty Marketing has been recognized by Topseos.com as “Best in Local Search”. Mike is married and has a wonderful baby boy that takes up all of his time outside of studying local search ranking factors. Visit Mike’s Local Search Marketing Blog for more information and updates.